Boston Marriott Quincy welcomes you with contemporary accommodations, friendly service and a superb location on the South Shore, just outside the city. Our hotel is within walking distance of the Quincy Adams MBTA T, providing hassle-free access to downtown Boston's many attractions. Settle in to comfortable rooms and suites showcasing deluxe pillowtop bedding, high-speed Wi-Fi, ergonomic workspaces and bathrooms with premium products. Additional amenities for your Quincy visit include a heated indoor pool and the Fitness Center powered by Reebok. Hull & Mason Bar and Kitchen for creative American cuisine in an inviting atmosphere. If you're planning a meeting or social event, our hotel features a range of flexible venues, including a spectacular Presidents Ballroom and picturesque outdoor spaces. If you're interested in exploring, we offer close proximity to downtown Boston, Cape Cod, Plymouth and close proximity to Providence, RI. 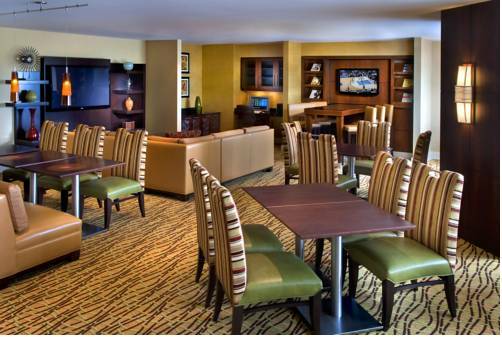 We look forward to making your stay special at Boston Marriott Quincy. Hull & Mason Bar and Kitchen: Hull & Mason Bar and Kitchen, our signature hotel restaurant, serves a wide range of delicious American classics, crafted with care using local produce. Join us for breakfast, lunch or dinner during your time in Quincy.